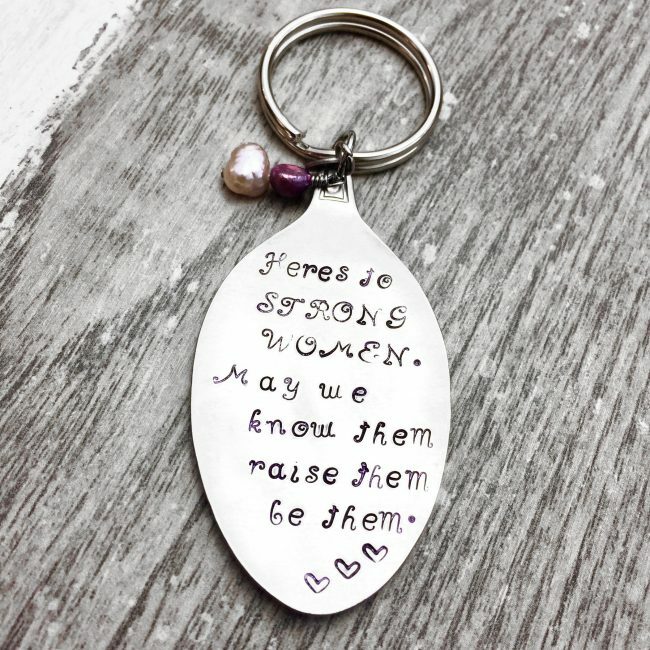 Here’s to STRONG WOMEN. 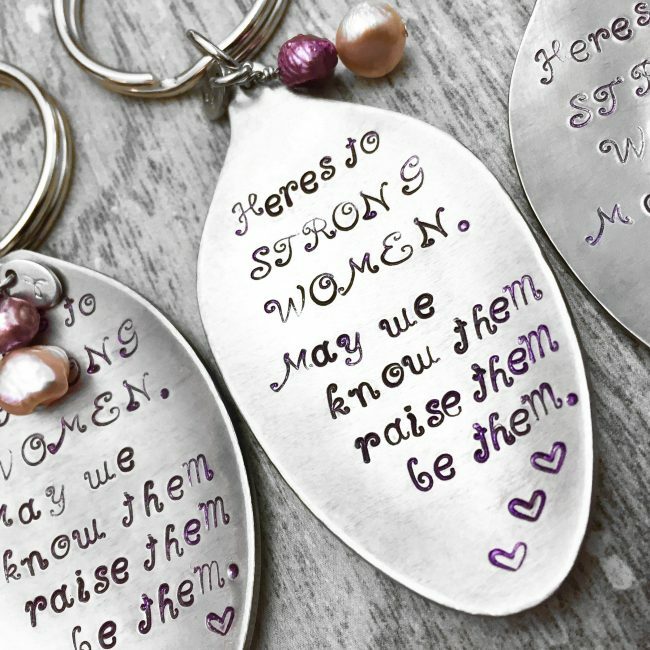 May we know them, raise them, be them. 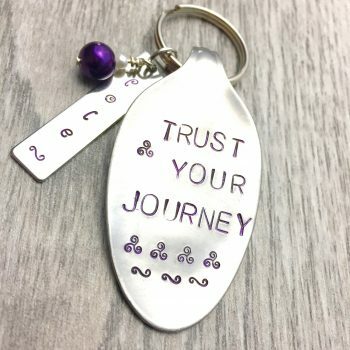 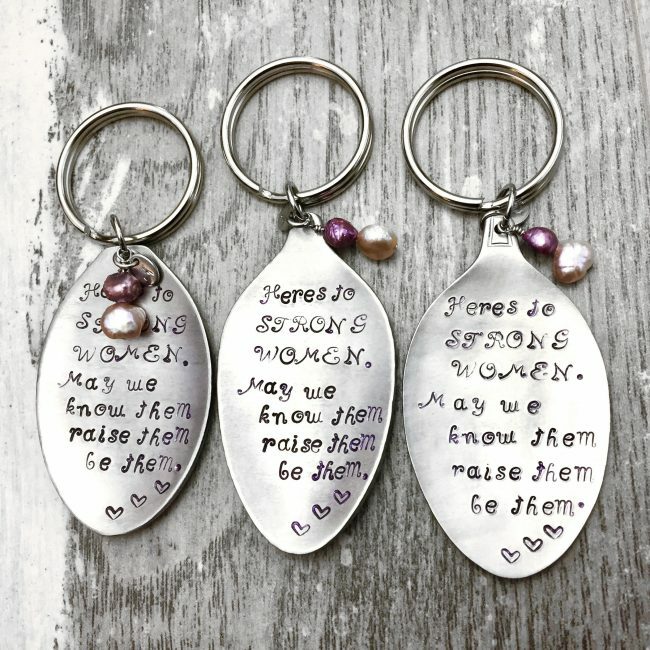 Hand stamped lettering in deep purple, adorned with two beautiful hand wrapped freshwater pearls and fitted to a heavy duty key ring. NOTE: I sell a lot of these pieces so you may not receive the actual item pictured but will receive one very similar. Pictured are a few finished pieces to show variance in spoon shape and text lettering. 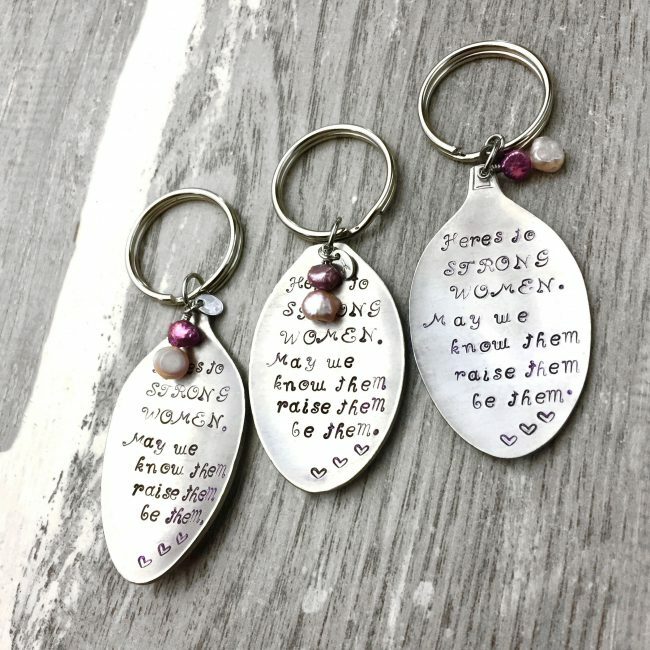 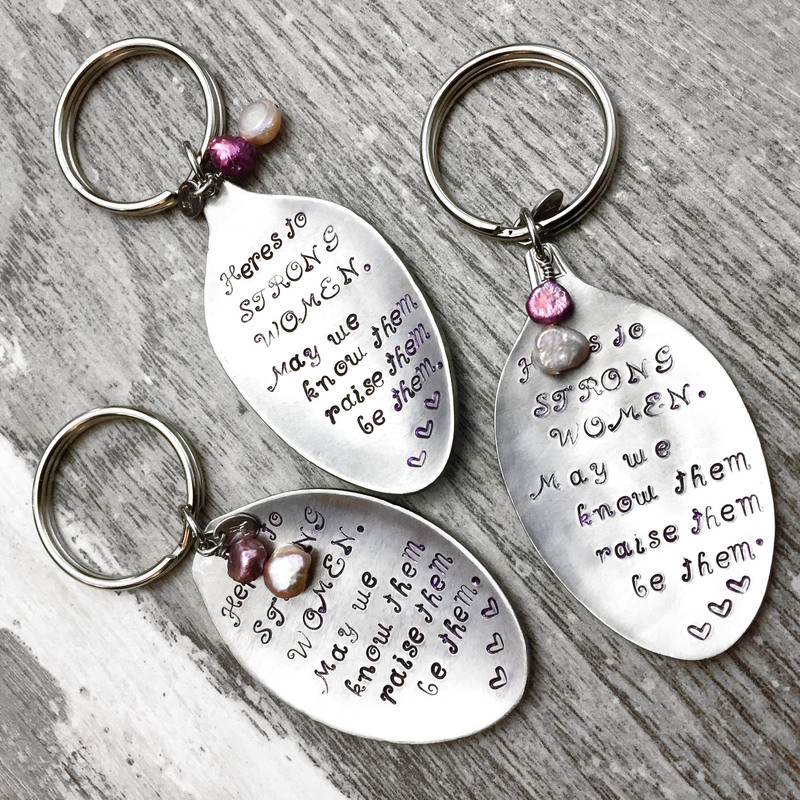 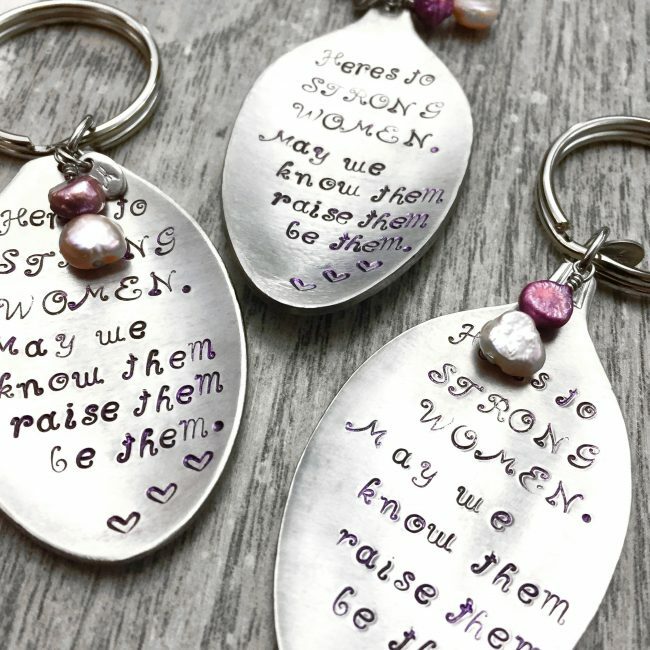 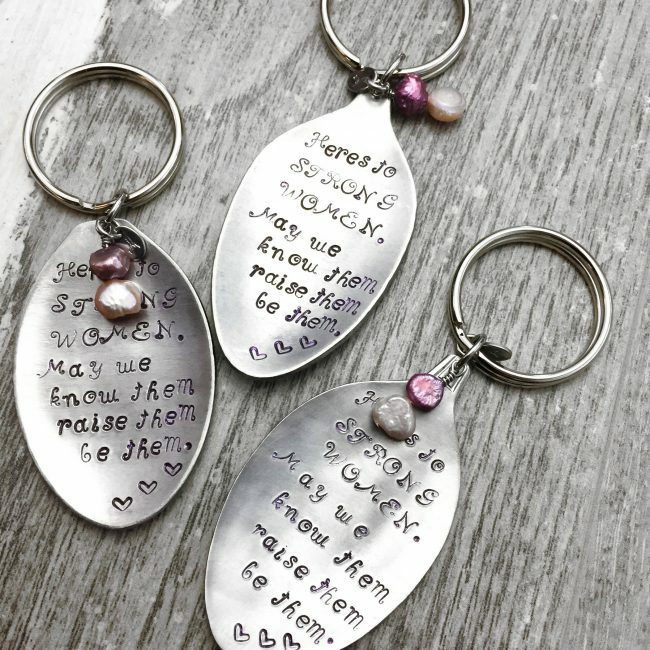 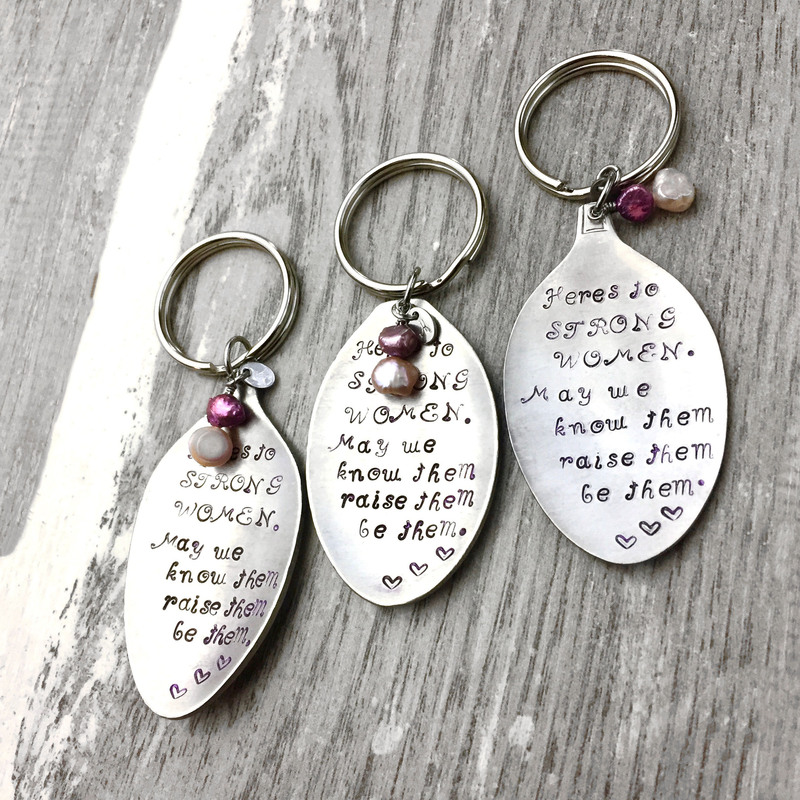 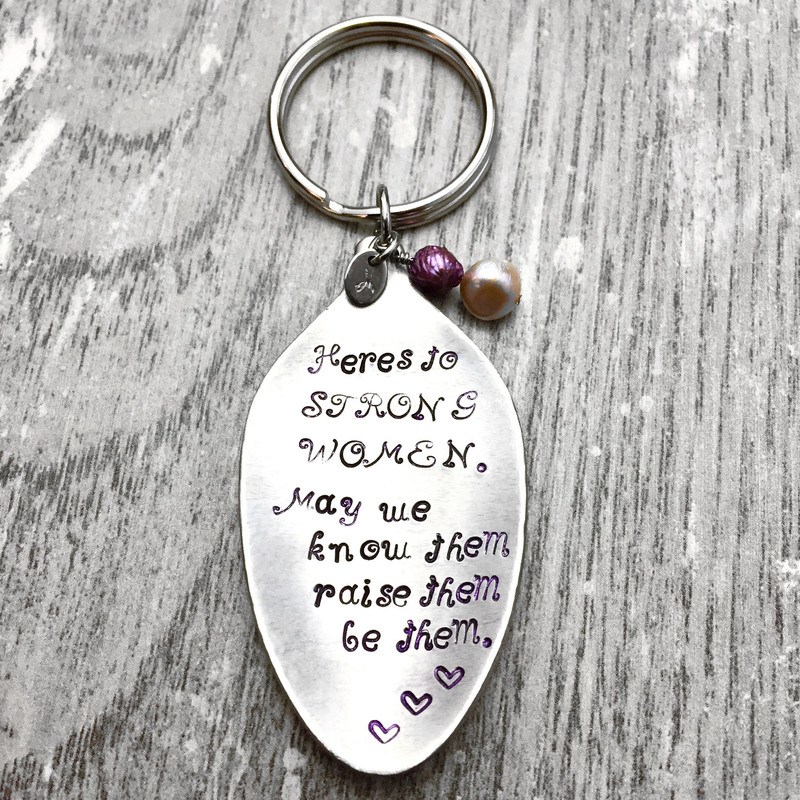 Each hand-stamped spoon hangs perfectly from a heavy duty keyring and is adorned with hand-wrapped freshwater pearl beading.